Award Year: 2008 Many people believe that, with the right mix of talent, ability, hard work, and opportunity, anyone can achieve the wealth and success that the American Dream has come to represent. Yet the rise to the top in America is limited, especially for those who live in segregated neighborhoods and those who have few educational and economic opportunities. Co-PIs Naa Oyo A. Kwate, Ph.D. and Ilan H. Meyer, Ph.D. propose that, for African Americans, living in a culture that so highly values self-determination can lead to demoralization, unhealthy coping strategies, and higher rates of illness and early death. In their project, On the Content of Our Character: The Myth of Meritocracy and African American Health, Drs. Kwate and Meyer look at how widely ingrained such beliefs are across the United States. They also consider how meritocratic beliefs may be linked to political views about the role of government and the plight of the disadvantaged, and to disparities in health and well being. This project will shed light on the hidden consequences of meritocratic beliefs. Ilan H. Meyer, Ph.D. is the Williams Senior Scholar of Public Policy at the Williams Institute at UCLA School of Law. Previously, he was professor of clinical sociomedical sciences and deputy chair for MPH programs in the department of sociomedical sciences at Columbia University Mailman School of Public Health. Dr. Meyer's academic background is in social psychology, psychiatric epidemiology, and sociomedical sciences. Dr. Meyer focuses on studying public health issues related to minority health. 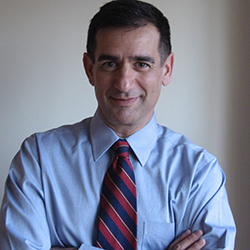 His areas of research include stress and illness in minority populations, in particular, the relationship of minority status, minority identity, prejudice and discrimination and mental health outcomes in sexual minorities and the intersection of minority stressors related to sexual orientation, race/ethnicity and gender. In several highly cited papers, Dr. Meyer has developed a model of minority stress that describes the relationship of social stressors and mental disorders and helps to explain LGBT health disparities. The model has guided his and other investigators' population research on LGBT health disparities by identifying the mechanisms by which social stressors impact health. Dr. Meyer is an editor (Mary E. Northridge, co-editor) of The Health of Sexual Minorities: Public health perspectives on lesbian, gay, bisexual and transgender populations (published by Springer in 2006). This influential text offers a multidimensional picture of LGBT health, incorporating contributions from across clinical and social science disciplines. Dr. Meyer is the Principal Investigator of "Stress, Identity and Mental Health" known also as Project Stride, funded by the National Institute of Mental Health. The study explores the impact of social stress at the intersection of disadvantaged identities related to gender, race/ethnicity and sexual orientation as they impact mental health. Kwate, N.O.A., Meyer, I.H. The Myth of Meritocracy and African American Health. AJPH, Oct 2010, 100(10): 1831-4.